Metropolitan Community Churches (MCC) leaders grieved the death of Delores Berry who transitioned on August 8, 2017. She left behind a host of clergy and so many friends who were grateful to have known her. In 1978 she transferred her clergy credentials to MCC and in 1984 she fell in love with Judy Kiser and they were spouses until Judy died. Today, they are reunited. Rev. Elder Dr. Candace R. Shultis, King of Peace MCC senior pastor, remembered Rev. Delores Berry. “I’ve known Delores since she and I were both living in Baltimore, Maryland. In those days, Delores had already become clergy in MCC and I was still trying to find my way. She was a counselor to me and sang at my ordination. Over the years, both of us served on the Clergy Credentials and Concerns Committee. We always insisted on taking a day of self-care whenever we met, usually in Hollywood, California. On one of those occasions, we took the ‘Grave-line’ Tour. We were driven all over Hollywood in a converted hearse. I felt sorry for the obviously newly married couple in the back who had to listen to five clergy tell stories of funerals, memorial services, and burials. We laughed until we cried! Rev. Brendan Y. Boone, Fourth Pastor; St. John’s MCC, Raleigh, North Carolina; Daytona Beach, Florida, said, “From the moment I heard her sing, I knew I was in the right place and she would be instrumental in my MCC journey. 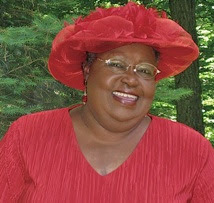 Delores P. Berry, or ‘Patricia’ as Mama Berry called her, became and remained my Spiritual Mother for over 30 years. From preaching my ordination service at MCC-DC and my pastoral installation service at St. John’s MCC in Raleigh, and countless revival weekends, Delores was a constant presence in my ministry and my life.